A lack of transparency between the asbestos bankruptcy trust system and the courts can lead to inflated recoveries for claimants and their lawyers, a problem that’s not only unfair to solvent companies but to future claimants as well, according to a report released today by the Illinois Civil Justice League (ICJL). Legislation requiring reasonable disclosure of claimants’ exposure between the two systems is necessary, the report concludes. Illinois law does not require plaintiffs in lawsuits to disclose trust claims they could be eligible to seek compensation from — and their lawyers typically don’t file claims with bankruptcy trusts until after resolving litigation against solvent companies in court. John Pastuovic, president of ICJL, called Illinois “ground zero” for asbestos-related personal injury lawsuits from plaintiffs across the country with only a small percentage of the plaintiffs filing asbestos complaints actually residing in the state. Madison County received almost one-third of all new asbestos cases filed in 2016, and almost one-half of the highest value cases involving mesothelioma. Plaintiffs also file a significant number of cases in Cook and St. Clair Counties. The ICJL report, titled “Illinois Asbestos Trust Transparency: The Need to Integrate Asbestos Trust Disclosures with the Illinois Tort System,” was authored by Mark A. Behrens of Shook Hardy & Bacon LLP, Marc C. Scarcella, MA, of Roux Associates Inc., and Peter R. Kelso of Roux Associates Inc.
What is an asbestos bankruptcy trust? Pastuovic said that the historically most culpable companies — asbestos producers — first sought bankruptcy protection, exempting them from asbestos-related lawsuits. Bankruptcy trusts were set up to compensate current and future plaintiffs claiming damages from exposure to raw asbestos or asbestos-containing products. Nearly 70 companies have filed for bankruptcy protection in what is commonly referred to as the “asbestos bankruptcy wave,” the report states. As a result of the development of bankruptcy trusts, claimants are compensated through two separate systems today: trust claims for bankrupt companies and asbestos litigation for solvent companies. Most asbestos plaintiffs allege exposure from more than one entity and seek compensation from both systems. The wave began with the largest manufacturer of asbestos-containing thermal insulation products, Johns-Manville, in 1982. Then the “litigation environment experienced a significant shift” when several key asbestos defendants followed suit, the report states. Plaintiffs’ attorneys “learned to exploit a disconnect that exists” between trusts and the court. 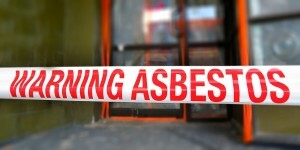 They wait to file asbestos trust claims until after a personal injury case is resolved, allowing them to “withhold information that, if disclosed, could lead a jury to conclude that a bankrupt entity was the sole proximate cause of the plaintiff’s alleged harm,” Pastuovic wrote. The asbestos trust transparency debate became a national discussion in January 2014 after U.S. Bankruptcy Judge George Hodges of the Western District of North Carolina ruled in favor of the gasket and packing manufacturer Garlock Sealing Technologies. He agreed that the company’s present and future legal liability was estimated at about $125 million, which was more than a billion dollars less than what was sought by experts representing asbestos claimants. “Garlock’s evidence at the present hearing demonstrated that the last ten years of its participation in the tort system was infected by the manipulation of exposure evidence by plaintiffs and their lawyers,” Hodges wrote in his order. The data from the Garlock case was made public after Legal Newsline was granted access to the claims data, discovery data and trial transcripts. In the claims made against Garlock, the data found that plaintiffs in Illinois cases filed an average of 19 trust claims and voted in four additional bankruptcy cases. It also found that a subset of 198 Supplemental Settlement Payment Questionnaires disclosed an average of 10 trust payments for a total average recovery of more than $350,000 at the time of the Garlock discovery response. Further, when Garlock’s estimation expert accounted for the fact that most of the claimants would continue to recover from outstanding trust claims beyond the date of the Garlock discovery response, it was estimated that plaintiffs would recover from an average of 20 trusts for a total average recovery of more than $660,000. In comparison, the Supplemental Settlement Payment Questionnaire disclosed an average plaintiff recovery from solvent defendants of just over $700,000. It also states that public data suggests plaintiffs filing asbestos cases in Illinois could receive as much as half of their total asbestos-related compensation from trusts. “The significant overlap between Illinois asbestos lawsuits and the trust compensation system necessitates legislation to ensure a reasonable level of disclosure with regard to claims made by plaintiffs in the tort and trust system,” the report states. “Given the fact that roughly one-third of asbestos lawsuits and almost one-half of mesothelioma lawsuits in the United States are filed each year in Illinois, the trust transparency issue may be more pronounced in Illinois than in any other state,” the report states. The law firm Maron Marvel Bradley Anderson & Tardy LLP conducted an asbestos trust review and analysis on a sample of 100 asbestos cases recently filed in Illinois, which revealed similar results to the Garlock data. “On average, plaintiffs in the sample could have made sixteen trust claims; thirty-seven plaintiffs could have made more than twenty trust claims. More significantly, of the 100 cases sampled, only eight disclosed having made trust claim submissions,” the report states. Perhaps the most critical finding of the Maron Marvel review was their comparative analysis of asbestos trust disclosures in states that currently lack trust transparency legislation with states that have adopted such legislation in recent years. Cases filed in state’s with trust transparency legislation disclose an average of 10 to 15 trust claims during litigation while more than 90 percent of plaintiffs in the sample Illinois cases failed to identify or disclose even one trust claim submission while the court case was in progress. For example, Maron Marvel looked at a December 2014 case filed against 130 defendants by Gori Julian & Associates in which Dennis Robertson alleged he developed mesothelioma while working at a car dealership and secondary exposure from his mechanic stepfather. However, testimony and related case disclosures “largely discounted Robertson’s forty-year career in the U.S. Steelworkers union and potential exposures to non-friction asbestos-containing products while working as a laborer and crane operator at Granite City Steel in Granite City, Illinois, from 1973-2014,” the report states. Granite City Steel is a trust approved site for 10 trusts during Robertson’s tenure, and he may have a basis to file claims against as many as 20 trusts. “Yet despite the direct and obvious links to at least eleven trusts, the Robertson case progressed through discovery and was set for trial absent any disclosure of trust claim filings,” the report states. In another example, Maron Marvel studied a June 2016 case filed by Gori Julian on behalf of Beverly Swaim, the daughter and special administrator of the estate of Donald B. Lauve, against more than 100 defendants. Lauve was a union insulator for more than 40 years, working at a number of industrial and commercial facilities, most of which were in Texas where he lived. His only work in Illinois was at the Mobil facility in Joliet during the early 1970s. Given his history, the Garlock data suggest that upwards of 20 or more trust claims can be filed on Lauve’s behalf. “As of September 2016 (less than two weeks before the closing of discovery), however, no trust claims had been disclosed in the underlying tort case, even though the plaintiff’s own allegations and publically available trust information regarding Approved Site lists provide an obvious link to a multitude of qualifying trust payments,” the report states.